Suzette Mayr’s new novel, Dr. Edith Vane and the Hares of Crawley Hall, features an English professor who realizes early in her semester that something is amiss at her institution. It isn’t just the indifferent students, her Kafkaesque administration, or the general sense of being stuck on the hamster wheel of publishing and grant applications. Rather, the very buildings of the university are possessed by a malevolent spirit that stalks and devours the instructors one by one. While Mayr’s novel is satire, it taps into the general feeling that something horrific has taken over higher learning. For the political right, those sinister workings take the form of university campuses increasingly hostile to any type of “viewpoint diversity.” For progressives and the left, the classrooms are haunted by a misplaced concept of free speech that allows reprehensible ideas to breach their safe spaces. Taken together, these two forces have created a simplistic and clichéd narrative about the crisis in academia. This drama typically involves a lecture from a controversial conservative figure, defended loudly by a group of online supporters and opposed just as loudly by a community of critics. There are countless recent examples of such theatre. In the United States, protests over Milo Yiannopoulos’s February 2017 visit to the University of California, Berkeley were used to portray a learning environment overrun with liberal zealots. Here in Canada, students at Wilfrid Laurier University protested a March 2017 speech by one of Jian Ghomeshi’s defence attorneys, Danielle Robitaille. Later, Queen’s University students disrupted a March 2018 speech by University of Toronto psychology professor and free-speech advocate Jordan Peterson. Those on the right have made hay out of these clashes. Margaret Wente has written numerous columns in the past year alone on the topic. Tory leader Andrew Scheer threatened that, if he’s elected, universities that failed to protect academic freedom would lose federal funding. Conservative activists have now created a handy “Campus Freedom Index,” which gives poor and sometimes failing grades to Canadian universities and student unions for their defence of free speech and calls on students to “take action” against censorship. At my home institution, Acadia University, we have our own free-speech warrior in the person of psychology associate professor Rick Mehta. 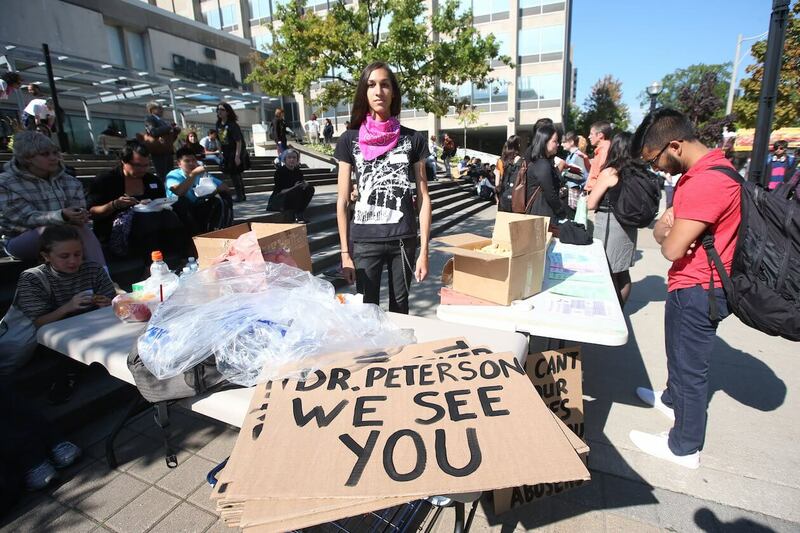 Since February, Mehta has been under investigation following complaints from students and faculty about his opinions on the virtues of residential schools, the dangers of decolonization, and liberalism’s uprising on campus. He since has become a cause célèbre for conservatives who would have us believe that Mehta is being censured because his work challenges the reigning progressive orthodoxy. What Mehta’s histrionics have to do with the Introduction to Psychology class he is paid to teach is a question worth probing, but as with most tales of horror, the real danger here isn’t the most visible—either via Mehta or the activists and administration hoping to restrain him—but the one lurking in the shadows. The real crisis on university campuses is the manner in which the increased use of part-time, adjunct instructors has curtailed the function of scholars to speak freely, offer unpopular truths, and criticize power. The transformation of academic labour into gig work is why, three months before Mehta made national headlines, Acadia faculty threatened to strike, coming within hours of walking off the job. The central issue was job security, namely pushing the university to hire an more full-time faculty, rather than to rely on temporary employees. It would have been Acadia’s third strike in the past thirteen years. Similar labour disruptions have occurred at the University of Toronto, McMaster University, Wilfrid Laurier University, and the University of Ottawa. At the time of my writing, York University instructors—a 3,000-strong group—are walking picket lines. 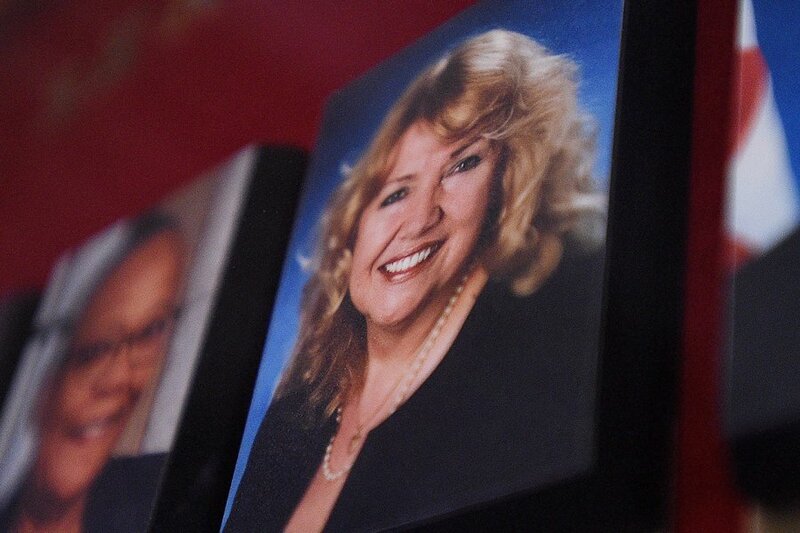 Late last year, Ontario college professors were legislated back to work after an acrimonious five-week strike. Both sides of the free-speech narrative have been silent in the face of these developments, having effectively colluded to create a Potemkin controversy. Let’s be clear: Mehta remains a tenured professor at one of Canada’s oldest universities and is afforded the protections of, among other organizations, the Acadia University Faculty Association and the Canadian Association of University Teachers. The fact that he is still teaching is a testimony to the freedom enjoyed by those with permanent job contracts—indeed, Mehta is so confident he has even made public some of his lectures online. Unlike Mehta, however, precarious scholars know that keeping their jobs, or making the leap to a permanent position, can rest almost entirely on how they are perceived by their administration and full-time colleagues. This is the real crisis of free speech on campus. And hardly anyone is talking about it. Since the early 1980s, Canadian universities started shifting from intellectual communities comprised of full-time scholars to collections of part-time instructors earning low wages, jettisoning from one campus to another in order to cobble together a living. This is a change not of degree but of kind. In his book Academia Inc.: How Corporatization Is Transforming Canadian Universities, Jamie Brownlee provides evidence of how completely this transformation has altered scholarship across the country. It’s telling that Brownlee was forced to resort to freedom of information requests to compel universities to share their data. A quick glance at the numbers explains their reluctance. When you compare 2000 with 2010, Carleton oversaw a 73 percent increase in part-time faculty versus a 23 percent increase in full-time positions. For York’s Liberal Arts and Professional Studies faculty, the part-time/full-time spread was 136 percent to 18 percent. For Trent, a whopping 203 percent versus 13 percent among 16 departments. U of T’s Faculty of Arts and Science showed the most staggering gap: between 2001 and 2007, part-time faculty exploded by 235 percent compared with 7 percent for full-time. University administrators blame much of this on the decrease in government funding. In 1980, the government spent approximately $17,900 per university student on teaching and research; by 2006, it was spending only $9,900 per student. To cover the shortfall, administrators raised tuition, nearly doubling it from 1994 and 2005. They have also reached out to the private sector for donations and strategic expertise: corporate executives are now the largest presence on many university boards. Indeed, according to Press Progress, 33.5 percent of all Ontario university board members are from the business sector, outnumbering students, faculty, staff, and senate members. But the most substantial savings came when administrators decimated full-time faculty positions. While a full-time professor might start at around $90,000 a year to teach four or five courses, that same teaching load will net a part-time professor anywhere between $35,000 and $21,500, with no opportunity for meaningful advancement and no guaranteed renewal of contract after the courses are complete. Yet some administrators even find this salary too costly: the University of Southern Illinois recently called for “volunteer adjunct” positions “to enhance—not replace—the work of our faculty.” Moreover, most part-time instructors aren’t paid over the summer and many aren’t eligible to collect a pension, ensuring further savings. Indeed, the majority of part-timers collect employment insurance during the summer, thereby allowing the university to offload labour costs onto the public. Win–win. But hiring part-time instructors isn’t just about converting bloated academic institutions into lean teaching machines. These structural changes also give universities a range of unprecedented advantages. Part-time employees are far easier to exploit because their precarity ensures that they will be less inclined to challenge the status quo. Where a full-time professor might protest administrative changes in course offerings, a part-time employee has no such opportunity. 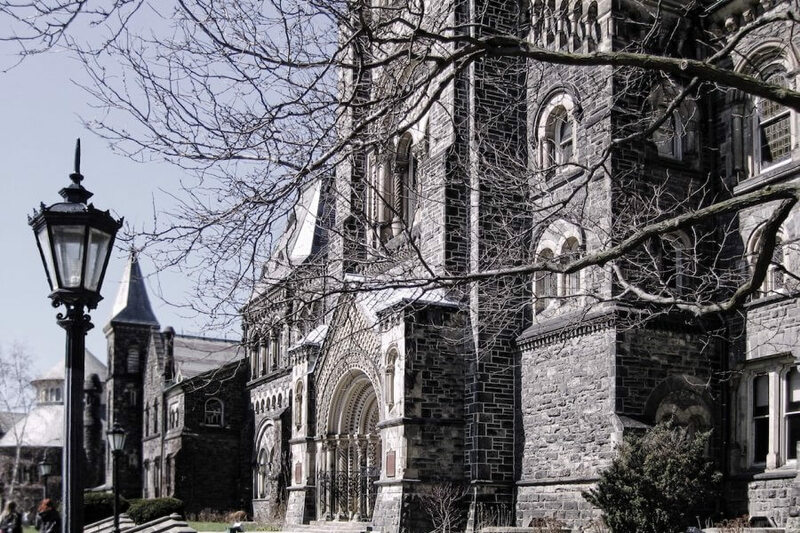 When University of Toronto administrators pushed to close the Centre for Comparative Literature in 2010, graduate students and faculty successfully forced the administration to back down. This kind of employee rigidity (read: insisting on teaching in your field) is solved by employing numerous part-time instructors who cannot resist such changes. Instead, temporary instructors return from the summer to find that the administrative brain trust has proposed replacing core humanities requirements with a course based around The 7 Habits of Highly Effective People, as was the case among the Alamo Colleges District in Texas. At the University of Alberta, a memo from the administration announced, without warning, the suspension of admissions to fourteen arts faculty programs. In Canada, we have a number of recent instances, including the case of Lindsay Shepherd, the Laurier teaching assistant who was reprimanded last November for showing her class a clip from an episode of The Agenda with Steve Paikin featuring Peterson. Shepherd’s detractors and supporters alike have both focused on the content of her class with little mention that a master’s student had been thrust into the role of bargain-basement instructor. Whether it’s adjunct profs, the increased use of TAs, or grad students being required to teach classes, it’s the same effect: the university wants to farm out its teaching to low-cost options. Indeed, according to the Laurier Faculty Association, half of Laurier students are now taught by contract teachers. Shepherd, of course, wasn’t silenced and is capitalizing on her fame as a firebrand defender of free expression. But that doesn’t change the fact that her interrogation by administrators and faculty would have been unimaginable were she a permanent, secure employee. Indeed, the contrast between Laurier’s admonishment of Shepherd and the kid gloves with which Acadia has treated Mehta showcases the protected status of the tenured faculty’s freedom of speech. More importantly, however, it does not change the fact that there are hundreds of other part-time instructors who have subtly and silently curtailed their speech. This diminishment has little to do with headline-grabbing cases and everything to do with the subtle ways in which precarious labour produces acts of self-censorship and pressures instructors into avoiding precisely the kinds of difficult or unpopular statements scholars are supposed to make. While Peterson points to pronoun usage as evidence for the decline of civilization, and Mehta regales his students with videos such as “The Left Thinks Black People Are Stupid” and “White Guilt: a trend that needs to die,” sessional instructors are reluctant to challenge orthodoxy or engage in meaningful public debate. Columnists such as Wente and Rex Murphy hold up Mehta and Peterson as champions of free speech, but were they truly concerned about free speech they would be decrying the transformation of the academy into Uber-Teach. Their silence speaks volumes. At the climax of Mayr’s novel, Vane explores the depths of Crawley Hall, searching out the source of the evil in the unmapped subterranean spaces beneath the basement. She discovers a massive crack in the foundation of the building from which the evil emerges. The crack grows into a fissure, a ledge, and, ultimately, a hellish portal into which forgotten disciplines, and the silenced academics, are swallowed. With my ten-month contract at Acadia coming to an end, I too will be swallowed back into the ranks of unemployed adjunct instructors. Friends and colleagues in similar positions—who are careful with what they say and publish in ways that Mehta never needs to be—have advised me against writing this very article for fear that it will harm the odds of any future employment. Which, of course, is the point.